We’re really sad to say goodbye to Cassiope, who leaves our shores soon for new adventures back in her homeland. We wish her well and we hope that she is able to visit us before too long. More welcome newsletter topics come in the shape of our newly formed communications team, who introduce themselves below. There’s also news on our recent feature in the national press, upcoming events and loads more. Meanwhile at the workshop we’re busy getting ready for the students to come back after their summer hols. Our second-hand-bike sale runs 8-10 October and we’d welcome any and all donations! We were bowled over to be featured in the Guardian recently in, not one, but TWO great articles. These were part of a series of features they’re doing around community projects. 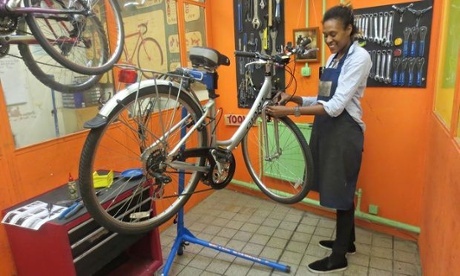 We showed a Guardian journo how to fix up their bike at one of our workshops, and we also offered tips on how to set up a bike co-op. It’s all leading up to a public vote taking place on 24 September, where we’re in with a chance of bagging up to £1000 in funding. We’ll keep you posted on how you can get involved via Twitter and Facebook. What a smashing cycling community we have here in Oxford! 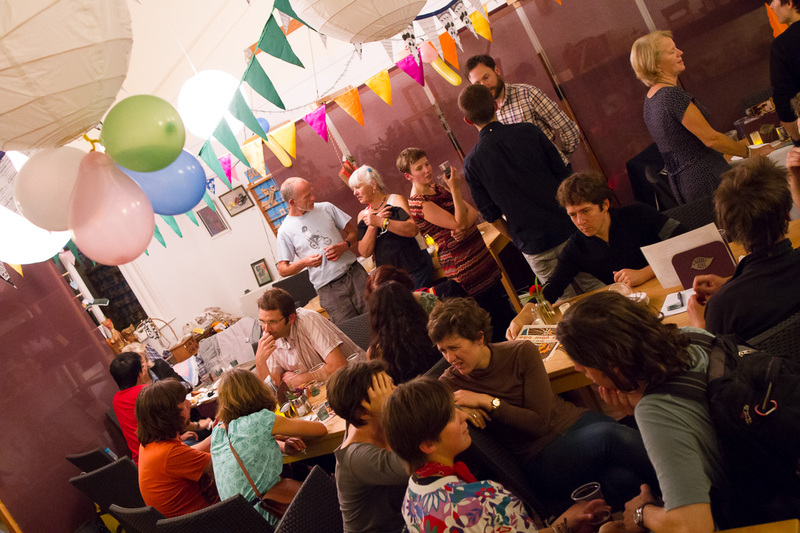 It warmed our hearts that so many of you popped along to celebrate our second birthday last Friday night. The party started with a bike ride from the workshop and ended in much cake eating, ale drinking and bike pub quiz antics at the Restore Garden Café. Elle and Sam made their performance-poetry debut as we all bade a very fond farewell to the irreplaceable Cassiope. Thanks to Meli for the delicious food and to everyone who came along for the ride! Say hello to our new communications team! A few months ago we put out a call for volunteers to help out with communications. 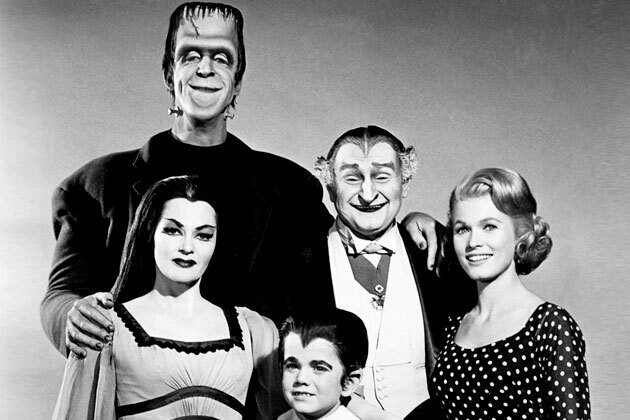 We were very pleased to get such a great response and we’d like to introduce you to the new communications honchos. See above pic – from left to right they are Elle, Meike, Jamie, Kate and Kiro (please check this is the correct pic – Newsletter Ed). The team are already up and running doing great work. Meike organised the photo shoot for the above team pic, Jamie is the new editor for the newsletter and you can read about Kate’s fab new blog post below. If you’ve got ideas on how we can improve our communications, or events we can promote the Broken Spoke at, please contact us at info@bsbcoop.org. Sam & Kelly, two of our top cycling instructors, have been busy using almost all the available daylight hours to help the people of Oxford improve their bicycle skills on the roads. This is part of our work with the University of Oxford to increase the number of journeys in the city made by bike. We’ve also started work with Oxford Brookes University on a new project called cycleBOOM. This has seen us teaching some of Oxford’s more senior cyclists how to use electric bikes to get more out of cycling. We still have a couple of one-on-one training sessions available this month so book your spot today! What do you see when you travel the world in 169 days, doing 12mph at an average 110 miles a day? Join us for what promises to be a fascinating evening in the company of someone who did just that – Julian Sayarer, author of a great new book, Life Cycles. 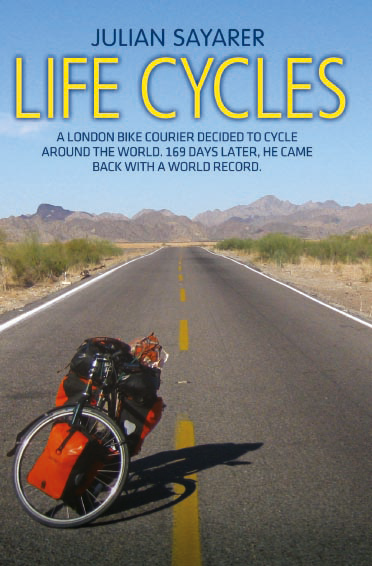 The achievement earned Julian a world record but Life Cycles is really a handlebar-view of world politics, from the streets of London, through to insurrections in China. This fascinating talk will take place on 20th September from 7-10pm at the Oxford Action Resource Centre (OARC). Find out more here. 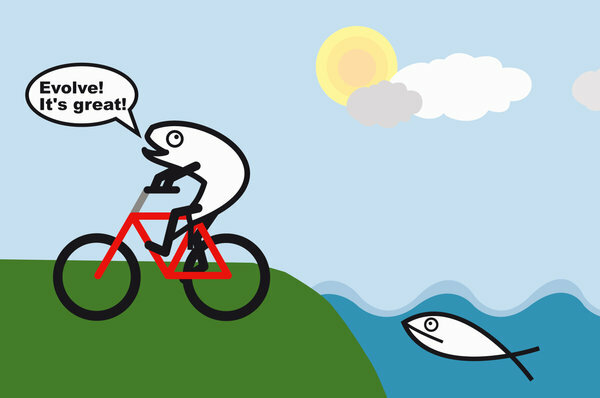 In her latest blog entry, new communications team member Kate gives us the lowdown on her personal experience of falling in and out and back in love again with bikes. 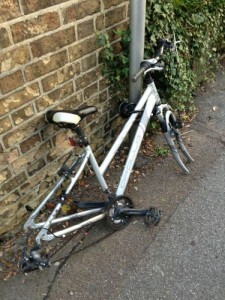 There’s thievery, bus frustration and tips on how not to take care of your bike at uni. Read on to find out more and stay tuned for further blogs from Kate as she shares her experiences of taking part in Broken Spoke’s courses. Find out more and book yourself on here. Copyright © 2014 Broken Spoke Bike Co-op, All rights reserved.